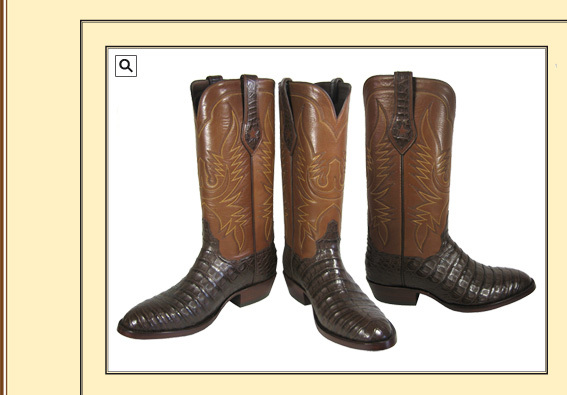 Brown Caiman foot and 13" medium brown top with colorful stitching. Shown with a 1 1/2" heel and medium round toe this amazing boot can be a blue jean boot or worn with dress pants. Available in an assortment of colors call and ask for samples.